Topeka –The Kansas Chamber and the Kansas Manufacturing Council (KMC) announced Monday they are partnering with the National Association of Manufacturers’ Manufacturing Institute to become the newest members of the Dream It. Do It. network. Established in 2005, Dream It. Do It. is an unique national network of professionals dedicated to engaging, educating, and employing today’s students in high quality manufacturing jobs, while educating career influencers like parents and educators about modern manufacturing. With the support of Spirit AeroSystems, KMC will represent Dream It. Do It. Kansas. 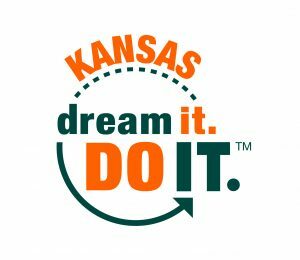 “The Kansas Chamber is excited to be joining the Dream It. Do It. network, and greatly appreciate the support of Spirit AeroSystems, enabling us to bring this program to Kansas. The program will allow our students, their parents and their teachers to engage in meaningful conversations with Kansas manufacturers about the promise and potential of a career in the manufacturing sector,” said Chamber President and CEO Alan Cobb. The initiative offers local manufacturers, schools, community-based organizations and other stakeholders the opportunity to partner with a respected national platform to promote manufacturing as a top tier career choice in the United States. Cobb said the program will be an important element in the organization’s ongoing strategy to reach youth and to grow the state’s talent supply. Organizations and companies interested in participating should contact Amy Billquist at KMC@kansaschamber.org.